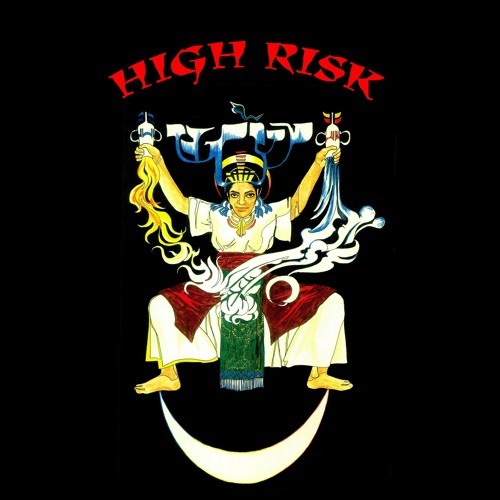 Never before released 1974 recording of the Californian Soul Jazz outfit ‘HIGH RISK’ ! High Risk is back on Jazzaggression records with a full album release, taken from the same 1974 session as their acclaimed EP (reissued by Jazzaggression in 2016 - #JA7-702) A unique musical experience that is oozing the spiritual freedom of the early seventies in a creative mixture of jazz, folk and blues - all fuelled with political lyrics. From an all-female band consisting of Virginia Rubino (of BeBe K'Roche fame) on keys, Cyndy ”Cynth” Mason Fitzpatrick (of flutemedicine fame) on saxes and flute, Bobi Jackson on bass and Sandy Ajida on percussion. The album features 6 original tracks including the full mix of Common Woman with all 6 poems by critically acclaimed poet and author Judy Grahn, who also contributed to the new liner-notes. Limited pressing of 500 copies, comes sealed in American style paste-on cover and with lyrics and poster inside. Buy New Jazzaggression LP - California 1974 - HIGH RISK - Snippets! Users who like New Jazzaggression LP - California 1974 - HIGH RISK - Snippets! Users who reposted New Jazzaggression LP - California 1974 - HIGH RISK - Snippets! Playlists containing New Jazzaggression LP - California 1974 - HIGH RISK - Snippets! More tracks like New Jazzaggression LP - California 1974 - HIGH RISK - Snippets!